Plaid is one fall trend that will never go out of style. And buffalo plaid is a classic plaid that has been around for ages. Although it is the stereotypical lumberjack plaid, it can easily be styled in many ways without looking like you are heading straight into the woods to chop down a tree! 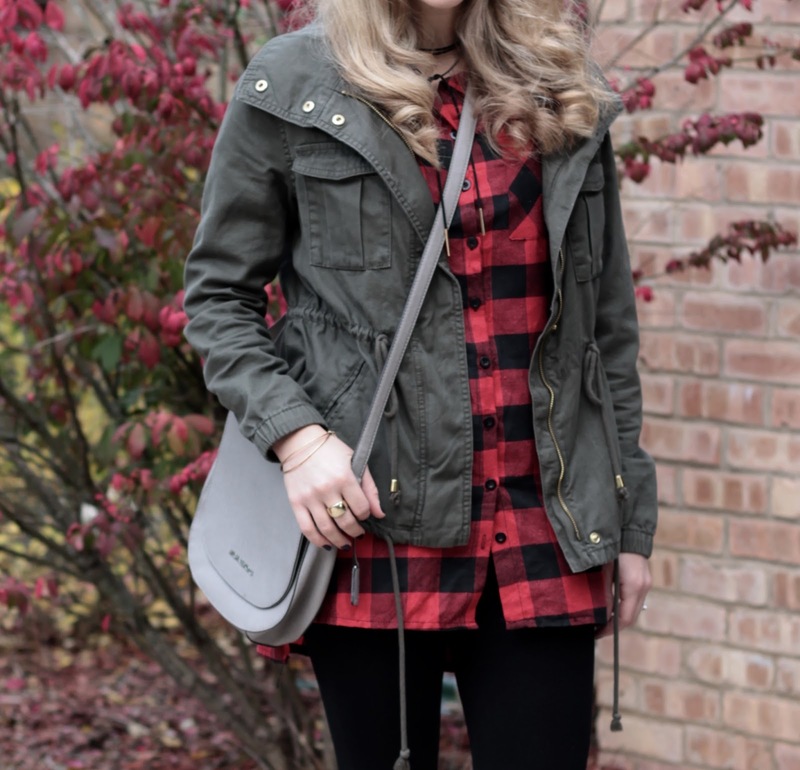 Last week I received this darling buffalo plaid tunic top from Romwe and I decided to show three ways to wear it. 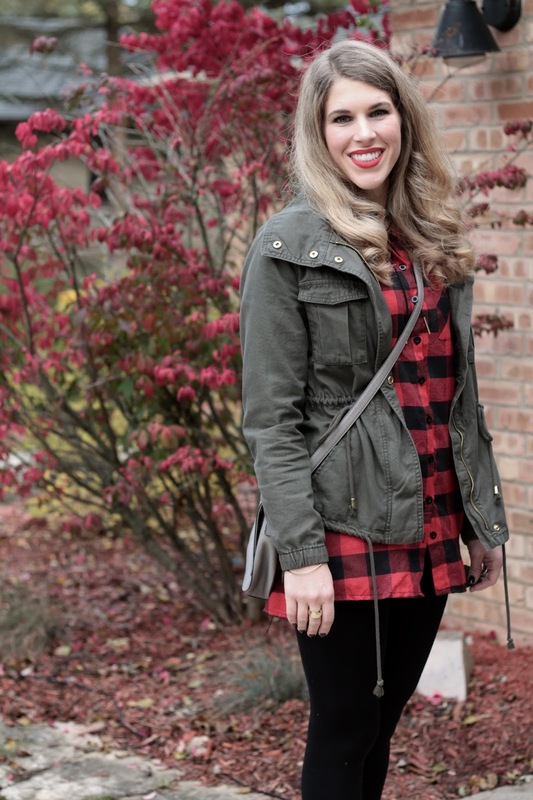 Buffalo plaid lends itself to a casual outfit. Pairing it with jeans is an easy option, but to add interest, I added another layer over the top with a vest. Black booties add a bit of edge so the outfit doesn't look too outdoorsman. For a twist on the athleisure look, I paired the top with leggings, a jacket and converse. This outfit is incredibly comfortable while still being put together. I am 5'5" wearing a medium size in this top and it is definitely long enough to cover your bottom as a tunic, but not so long it looks odd paired with jeans. The perfect length! 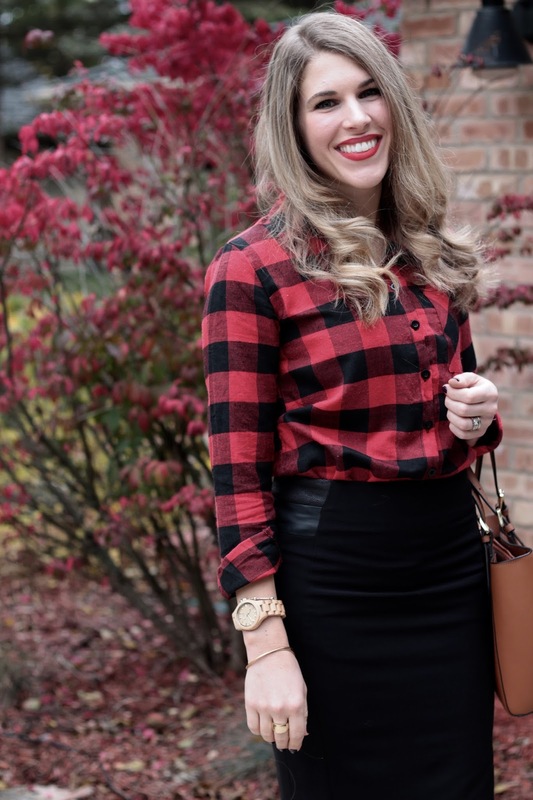 Although buffalo plaid is inherently casual, it can be dressed up a bit with the perfect black pencil skirt and cognac accessories. This would even be a good outfit for a more casual work environment. I plan on getting a lot of use from this top the rest of fall and throughout winter this year! Today Adriele from Style Assisted is co-hosting today. She has absolutely flawless style whether it's a casual look or something more dressy. Her blog is the perfect mix of style, beauty, life, and motherhood. There is something for everyone so go check it out and don't forget to stop by her youtube channel! well done every time, I love buffalo plaid. Love this look. The link up is sayin it will open in 2 days. Sorry about that! Should be open now! Buffalo plaid is my favorite! All of these looks are fabulous! My favorite is with the pencil skirt! Love how you styled this piece. Buffalo plaid is a great pattern to have. Love how you have taken this shirt from casual to smart casual...gorgeous boots. That buffalo plaid is really a statement piece!! I love how it can work in both the casual and dressy occasions! My mom just wore her buffalo plaid scarf this weekend---I told her she was being very hip & stylish!! I love posts like this with multiple outfit options for one piece! I love how you dressed it up for work! I love buffalo plaid! Such a versatile top, and I love all the ways you styled it. Love this top & all three ways you styled it look great my fave is the second super comfy look with the sneakers & military jacket! I love love this buffalo print for fall. It's always one of my favorites, and you look so cute! Love buffalo plaid! Definitely a classic fall print! All three looks look amazing, but I especially love the first one. 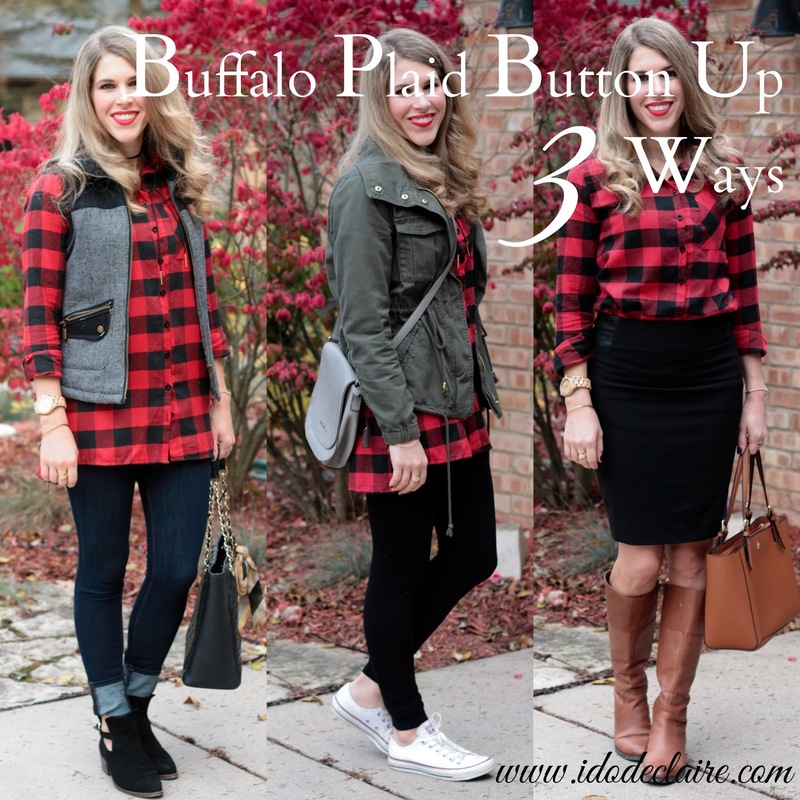 Three fabulous ways to style this buffalo plaid shirt! I cannot decide which I like most. Your Rita and Phil skirt is a wonderful piece, as well. I love buffalo plaid! All three looks are fantastic and so different. Beautiful Laura! All of these looks are so fun, and you're making me want to find some buffalo plaid for my closet! 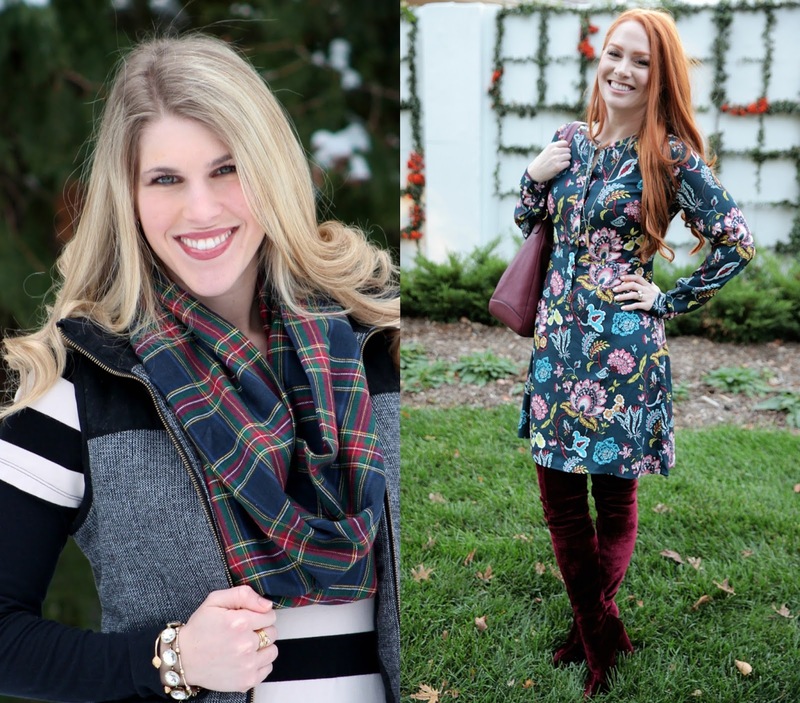 Thanks for the fall plaid inspiration, I'm going to pin these looks! You look great in each look, I seem to be a fan of the olive utility jacket and also love those black booties of yours. I don't have much plaid in my closet other than a few skirt. Love the red. What a great job you've done showcasing the versatility of the plaid shirt. I'm quite partial to your more dressed up version. These are great ways to wear plaid. I love it with the vest. Stunning in the skirt, love that look! 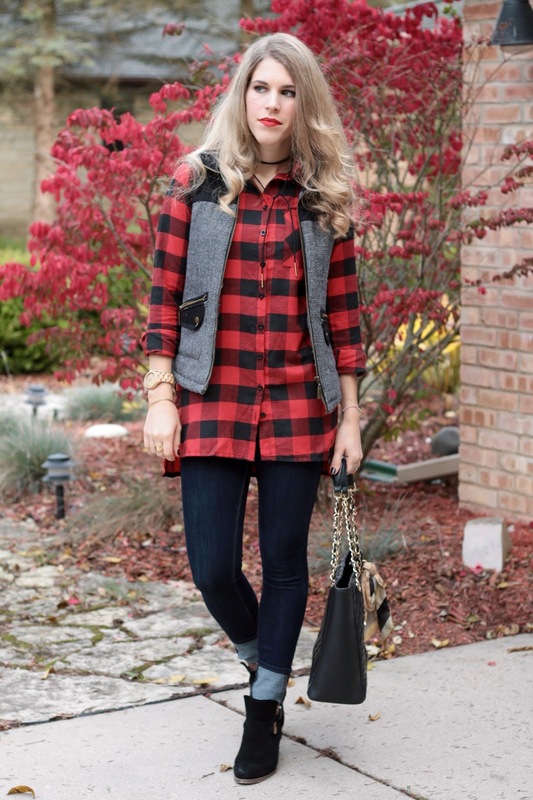 Love the last way you style this plaid shirt. I love buffalo plaid. I've never thought about it for a work look, but I love the way you styled it with the skirt. So pretty! Plaid is so much fun to style! I love how you showed all the ways to wear this tunic! So many options! Such a great outfit love the plaid!!!!! Ohh! Great choice from Romwe! I just chose a piece from them but I'm kinda wishing I would have picked this one! So many cute things to choose from! That third look, Laura. LOVE LOVE LOVE. So classy and strong. Love it with the jacket!!! I am totally copying this! 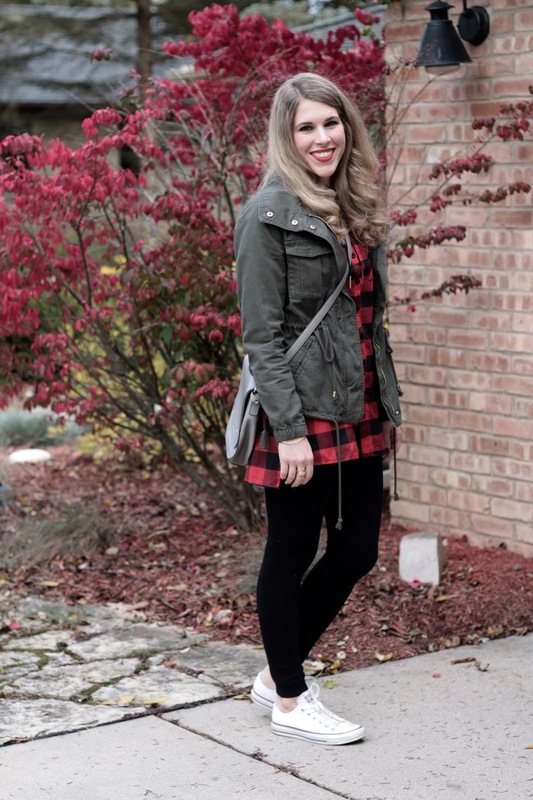 I love the buffalo plaid, and all three ways you styled it! I would never think to pair it with a black pencil skirt, but love the way it turned out!! Loved all 3 ways you styled this outfit the last one is probably my fav. Three great outfits...I particularly love the third! The Rita and Phil skirt is fab! 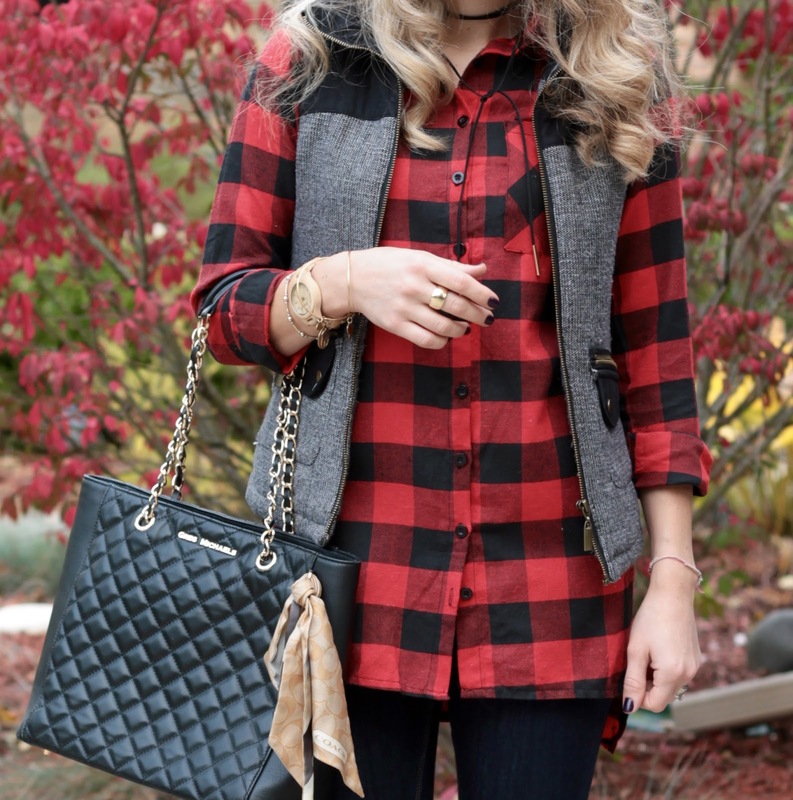 Very nice ways to style this buffalo plaid top, love this. You are welcome for the feature. I love seeing examples of wearing an item in different ways and/or for different occasions. You are a visionary because all three of your looks are fabulous. Thanks for the link up. Love how you styled this! I need to get a buffalo plaid, which I don't have, believe it or not! 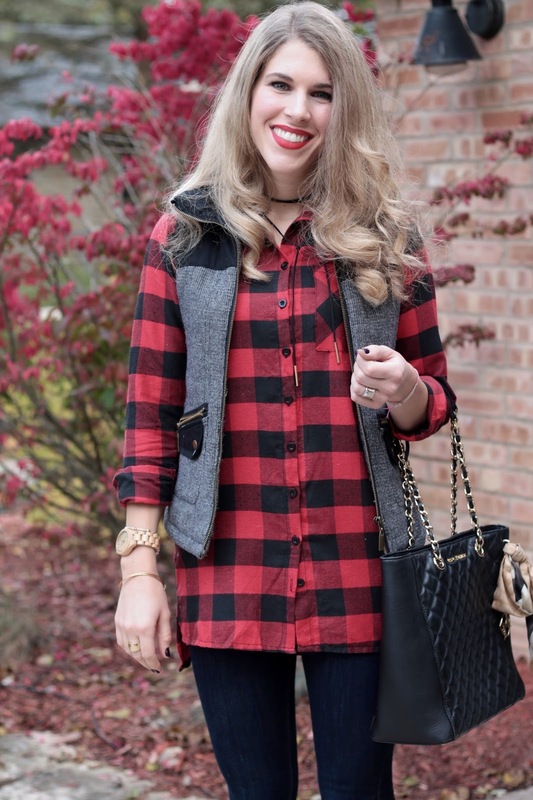 Buffalo plaid is my favourite of all the plaids and I was just trying to figure out how to style it nicely for work...I am totally going to copycat that last look!! I just realized I have a hole in my buffalo plaid top...so sad! Love it with my olive jacket too but love all the ways you styled it. Thanks for linking with Ageless Style! I could see me wearing that shirt ! Of course it's great paired with jeans and I love your dark wash denim ones and the way you've rolled them up to show off the boots but it's the skirt combo that's my favourite! It looks so good with it. Fantastic styling all 3 ways! Love it!